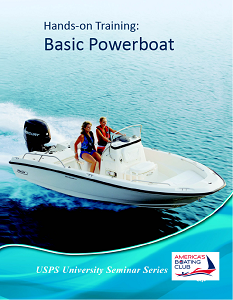 Basic Powerboat is a skill-based training program that covers the essential techniques of powerboat operation. The program is designed for new boaters, and requires no prior experience. Seasoned boaters will also learn new techniques, and increase their skills. 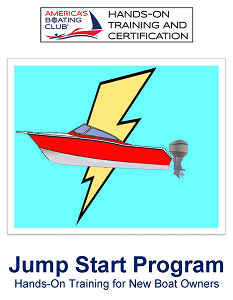 Jump start provides a personalized, one-on-one training session on the student’s own boat. This program is ideal for the new boat owner that needs some assistance in learning to handle their new vessel. 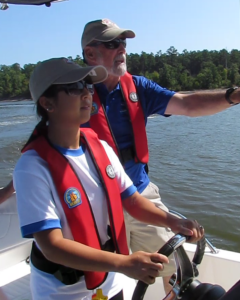 The Boat Operator Certification program recognizes the skills of USPS members at different levels of recreational boating proficiency. Each level of certification requires completion of specific courses and seminars, and also requires that candidates pass specific skill tests that demonstrate their abilities.